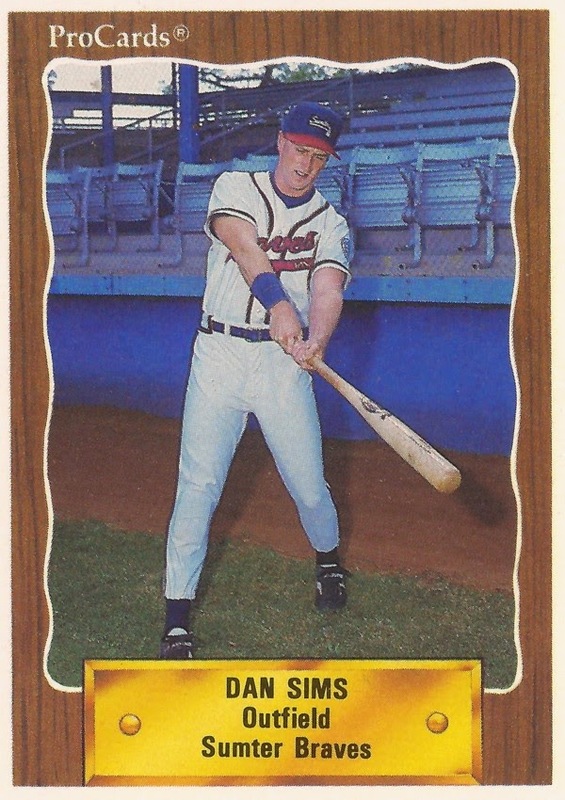 Dan Sims used his speed in this July 1989 game and it led to an early Idaho Falls run. Leading off the game, Sims made it to first on an infield single. A hit batsman, wild pitch and a ground out eventually brought Sims around for the game's first run, according to The Deseret News. Sims scored that run in his first season as a pro, one of 27 runs he scored on the year at Idaho Falls. He ended up getting into just one more season, marking the extent of his professional career. Sims' career began that year in 1989, taken by the Braves in the 37th round of the draft out of Birmingham-Southern College in Alabama. He played his first season at rookie Idaho Falls. In 50 games, he hit .315, with 23 RBI and six stolen bases. For 1990, Sims moved to single-A Sumter. Sims hit a grounder categorized as weak in a May 1990 game, but it was enough to tie up the fielder and score a run. A Sims bunt helped lead to an August run, moving the runner over to third. He doubled and scored in a June game against Fayetteville. Overall, though, Sims' average dropped to just .185 over 58 games. He stole six bases and knocked in just 11. It was his final season as a pro.